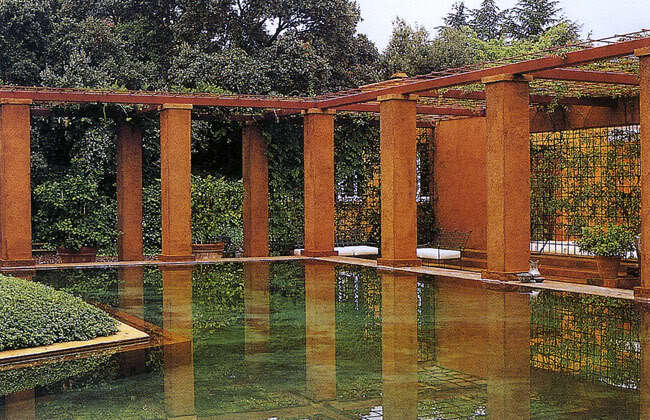 Born as Venetian, water is one of the greatest elements of Carlo Scarpa’s architecture. The cemetery is carved with a series of everflowing canals; sometimes flowing aside the path and sometimes within a pond surrounding the steps and pavillion. 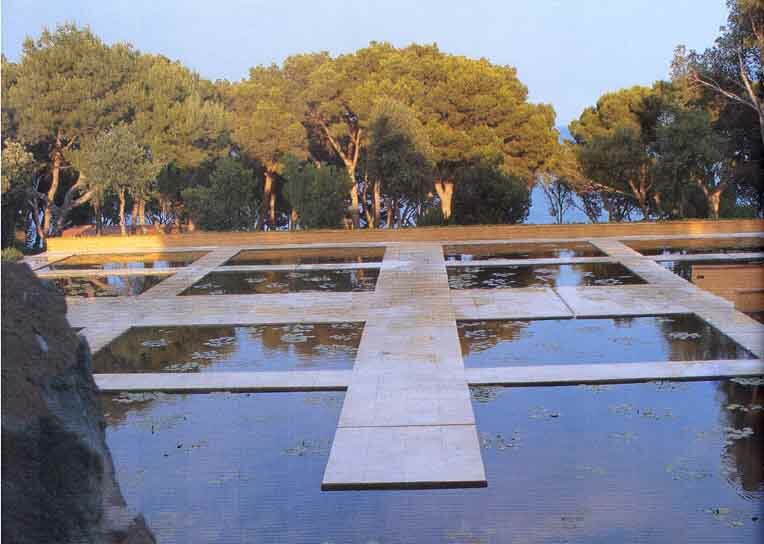 This put me in mind of Caruncho's equally impressive, but more positive and sundrenched water parterres, large and reflecting to Scarpa's minimal but exquisitely detailed. "Kublai Khan does not necessarily believe everything Marco Polo says when he describes the cities visited on his expeditions, but the emperor of the Tartars does continue listening to the young Venetian with greater attention and curiosity than he shows any other messenger or explorer of his." So begins Italo Calvino's compilation of fragmentary urban images. As Marco tells the khan about Armilla, which "has nothing that makes it seem a city, except the water pipes that rise vertically where the houses should be and spread out horizontally where the floors should be," the spider-web city of Octavia, and other marvelous burgs, it may be that he is creating them all out of his imagination, or perhaps he is recreating details of his native Venice over and over again, or perhaps he is simply recounting some of the myriad possible forms a city might take. Happy summer break, see you at the beginning of September. Summer is advancing, we are enjoying the layout and hard work of spring so we are taking this opportunity to do some reading ...and research. Always seeking to extend the knowledge of planting that underpins our mediterranean, low water usage ethos, we're tracing the use of plants in antiquity, understanding the use of these traditional plants and the impact they might have within a 21st Century design layout. Claudia Lazzaro's in depth study of the Italian Renaissance Garden, Yale University Press, 1990, focusses on the planning and historical development of the gardens around Rome and Florence, with an excellent bibliography and a useful Appendix gathered from many textual sources, documents, treatises and inventories of the gardens. Here she subdivides fifteenth and sixteenth century plant material according to its use in the gardens, also mentioning "exotic" plants introduced in the late sixteenth century. Here is my take on the list. Herbs and flowers to follow! Tonight I'm looking forward to another excellent talk by Tom Stuart-Smith at the Garden Museum, London. 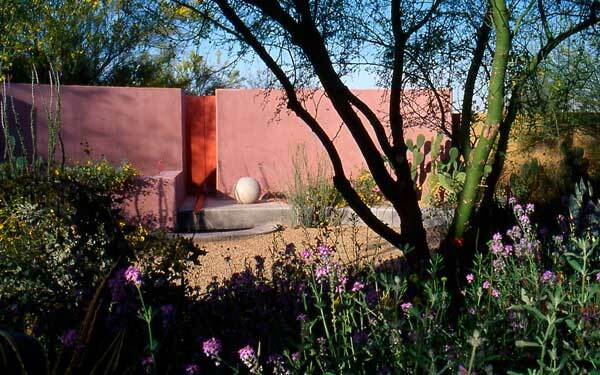 The full title of the talk is The Secret Garden or Attachment, Separation and Loss: a Meditation on Spatial Design. 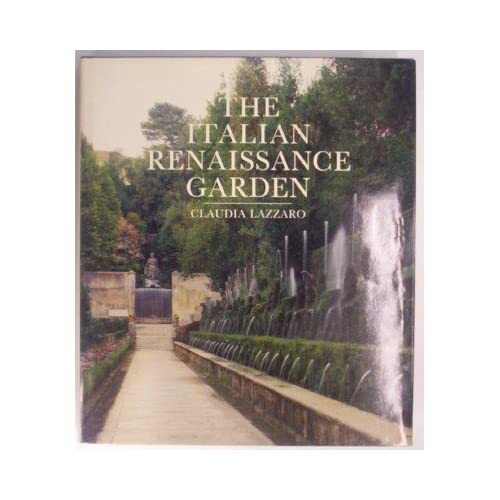 It was introduced last week as an insight into the formative influences of Italian Renaissance gardens, including Caprarola and Villa Lante, and the 1740's William Kent garden at Rousham, Oxfordshire. Giardini segreti are spaces hidden away, for pleasure or escape, and it will be interesting to see the conceptual transaltion of this idea in the contemporary, garden room style that he is known for. 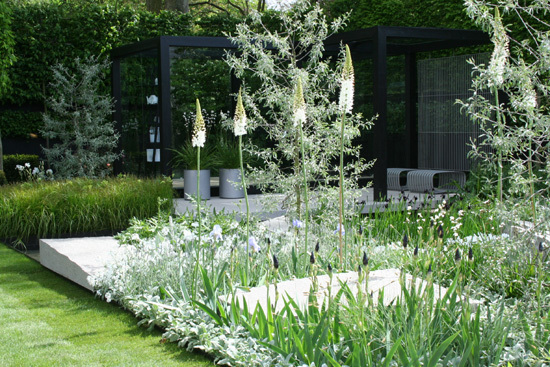 Below is an almost iconic image of planting style: multistemmed rhus tiphina embracing and enclosing the space, underplanted with hakonechloa and evergreen box. 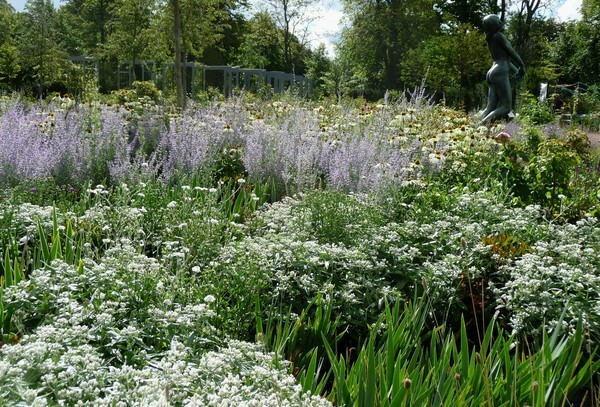 Talks, events and exhibitions are all on the Garden Museum site. More well known imagery.... its seduction is about its inevitability; even in a show space such as Chelsea it seeks to make space for us, to re-establish a connection with an inner space of thought and wonder. 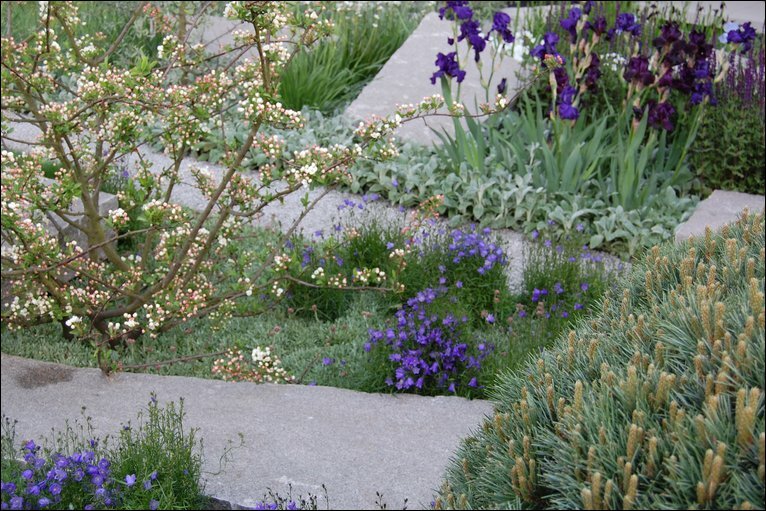 Stuart-Smith commented last week on the relationship between psychology (or being married to a psychologist) and the making of his gardens; listening, I was relieved to find that gardens, like the Renaissance ones, are still being thought of as spaces to delight the body and the mind.